I was at the first Because Beer Festival at the beautiful Pier 4 Park in Hamilton, Ontario a couple of weeks ago. 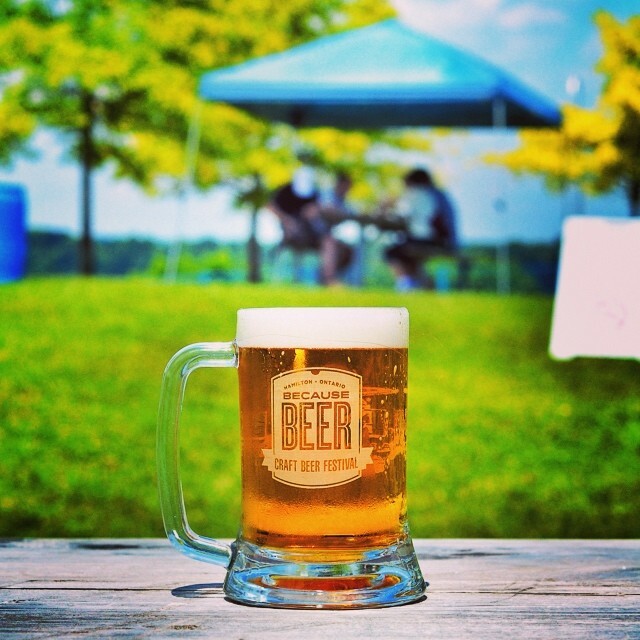 Summer is a wonderful time because, well, there are less beer events that take place in cramped spaces and the noble Beer Geek can roam free in the glory of the outdoors. This was especially true for the Because Beer Festival because we had a gorgeous parkland and a hell of a view of the lake to go with out tasty beverages. It was definitely a beer event put on by people who have handled these before and it seemed to go off without so much as a whiff of a hitch. But it was there that I noticed a switch in myself. The biggest hit for me at the festival was, like a Hobbit’s involvment in a quest involving a ring, rather surprising. It was a simple, well-crafted English Blonde Ale by Maclean’s Ale, out of Hanover, Ontario. A simple English Blonde Ale made very, very well by a man, Charles MacLean, who has been making beers like this since the 80s. To be clear, I’m not saying anything bad about all of the incredible, wonderful, and innovative beers that have been coming out lately. We’re at a wonderful time right now where there is so much variety coming out at such a fast pace. It’s getting harder and harder to keep track of them all and I for one think that’s a very good problem to have. I love beers that enflame the senses, make me think, and prove to be a combination of flavours that I would never have thought to combine. I’m just saying that along with that, I have a high appreciation for a well-made beer with a simple concept that I can look to as an “old reliable” for years to come. So here are just a couple of local and non-local beers that I’m enjoying that fit that bill. Side Launch Wheat – Brewery originally known as Denison’s, but has undergone a merger and rebranding, Side Launch Brewing Head Brewer Michael Hancock has been making this exact beer since it first appeared in the Denison’s brewpub in 1989. It’s a damn fine Bavarian style unfiltered wheat beer that pours a hazy yellow and has such beautiful taste notes as banana and a hint of lemon. Absolutely perfect for the summer season. Schneider Weisse Original Tap 7 – For about 300 years the Bavarian Royal Family held exclusive rights to brew wheat beers. In 1872, due to declining sales, King Ludwig II discontinued the production of the style and later sold the right to brew wheat beer to brewer Georg Schneider. My usual advice to international folks on picking their first Weiss is to maybe make it the ACTUAL first one. Schneider Weisse Original Tap 7 is one of my go-tos for the style. With the brewery owned and operated by the Schneider family for 142 years, it’s safe to say that you can’t go wrong with this beer. 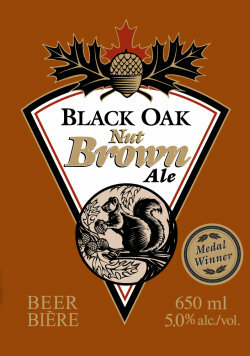 Black Oak Nut Brown – One of the original flagships of Black Oak Brewing when their doors first opened in late 1999, any change that has been made to this beer has been an improvement. Very traditional and solid Brown Ale with notes of caramel and malt that don’t assault the senses, but provide a really nice balance on the tongue. Muskoka Detour – The youngest beer of the group featured here. I wrote about Detour in the Session Beers post a while back and my opinion of it hasn’t changed. 4.3% ABV with gorgeous, subtle, citrus aromas, a hint of mandarin oranges in the taste and a quick dry finish. Absolutely perfect Summertime porch-sipping beer that has proven to be a good gateway beer for a lot of newcomers. 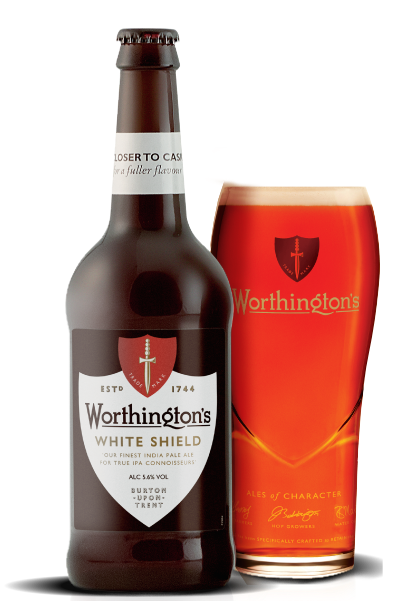 Worthington White Shield – A lot of my English Beer Geek friends roll their eyes at this one, but to me it’s a solid English IPA that we just don’t get enough of this side of the pond. Originally marketed by Worthington’s Ale as East India Pale Ale in 1829 and then started going by White Shield when the logo of a (prepare for a shock now) white shield appeared on the bottles in around 1870, The Burton-Upon-Trent based beer is now owned by MolsonCoors and sees a pretty regular international distribution. That said, it’s the first time I’ve seen a CAMRA label on a bottle in Ontario and the beer is incredibly balanced. Nice amount of sweetness, nice amount of dryness, and best when consumed at cellar temperature (10-12C/50-55F). Of course it’s probably not going to be the same beer that was let out in the 1800s, but it’s still damn fine. Do you have any reliables? Please feel free to leave a comment! Brains Reverend James is a good reliable and tasty pint, with a bit more flavour to it than Brains’ standard SA beer. Quite dark with a thick head, it’s more of an autumn/winter beer than a summer one though. This fest looks interesting – perhaps the hubby and I can plan a trip to Hamilton for next year’s event. I find the Toronto festivals so busy (and often so full of drunk people) that we tend to skip them these days. Would be nice for him to discover interesting new beers – while I soaked up some sun and scenery. And good to hear you liked the Mintz book (I assume). I’ve been thinking of picking that up.